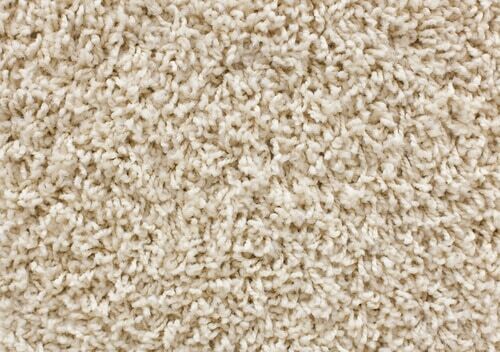 What Are The Different Types Of Carpet Material? Over the years of providing quality commercial carpet cleaning Blackburn, Wrennalls have carved out a reputation for excellence. Professional carpet cleaning is never one size fits all, and with many different types of carpet in existence, a big part of providing effective professional carpet cleaning is deploying the right set of techniques and methods suited to that particular carpet type. It’s through this attention to detail and commitment to delivering a personalised service that Wrennalls have become the most in-demand company for commercial carpet cleaning Blackburn. Band Aesthetic – This factor incorporates many different ideas and aspirations you have for your business, how you want your customers to see you and the way you are going to form a strong psychological connection with them. You may be an on-trend clothes boutique valuing minimalism and neutral colour schemes with no patterns, or you may be an old English pub that prefers traditional maroon carpets with canary flake patterns. Traffic – How many people each day are coming into your shop/business? If what you are offering is in demand and you have a high rate of inbound customers, you’ll need a carpet that is hard wearing, durable and easy to clean and will look great. If you are a high-end jewellery store making perhaps a few sales a month (albeit monetarily large ones) and have a lower traffic rate, you might want to consider a premium wool carpet as this is appropriate to the area of the market you are trying to target. Budget – Regardless of the two above factors, The amount of money you have to invest in a carpet will dictate what you are able to afford and fit. Nylon fibre carpets came into being throughout the 1950s and are famed for their ability to be durable and to look good for long periods of time. This is mainly because nylon has the ability to resist compaction and retain its original shape. Rather interestingly, the chemical makeup of nylon includes a hydrogen molecule so when a steam cleaner is used to clean this type of carpet, the hydrogen molecule is reactivated and can rejuvenate the carpet’s original shape! This is very useful for areas of high traffic ie. spots that see a large number of people pass through regularly or even locations of heavy furniture like sofas or pianos. At Wrennalls we specialise in the deep cleaning of Nylon carpets, carrying out high tech cleans at the right temperature hot enough to kill bacteria and lift stains but not hot enough to melt the fibre structure. For great commercial carpet cleaning Blackburn choose Wrennalls. Polyester is a form of plastic invented in the 1940s by scientists who used high temperatures to create a chemical reaction using air, water, petroleum and coal. The chemical structure of polyester is structurally dense and known otherwise as a closed-cell fibre. 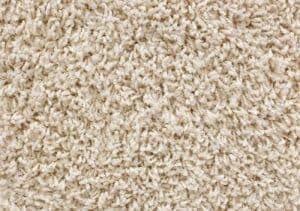 There is little room for stains to attach themselves to open sites between the material’s molecules making polyester carpets very popular. Aside from increased stain resistance, Polyester is hailed for its ability to retain colour vibrancy over time which is also attributed to its dense molecular structure and resistance to wear. Whilst, polyester fibres may be good at resisting stains, moisture and oil can build up on the surface of these fibres and then collect dirt and dust. If you run a business in the Blackburn area have opted for a polyester carpet, it is important to have regular deep cleans as this will remove any collected dirt and allow your carpet to show off its vibrant colours. If you require services for Commercial Carpet cleaning Blackburn call Wrennalls today. Wool is a truly wonderful material to have as a carpet, it feels heavenly to walk on and is soft as well as springy with great shape retention. 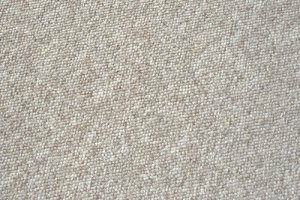 Unlike other synthetic carpet materials, wool can be manufactured as 100% natural which means it is hypoallergenic. The natural job of wool is to keep sheep warm throughout all conditions so it’s no surprise that wool carpets have fantastic insulation qualities and can help save you money on heating. Wool carpets are a premium choice of carpet fit and do require careful maintenance and at the very least professional cleaning. As a commercial business or organisation in Blackburn, there is nothing more that says luxury and quality than a well-kept wool carpet. Wool carpets are known to be attacked by moths which can be a problem and requires treatment with special insecticide sprays. Repeated exposure to sunlight can also cause fading in wool carpets so you must be strategic about where they are placed if you do decide on the wool option. 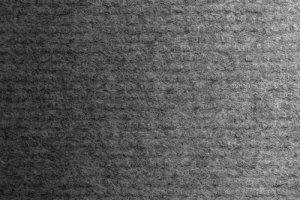 Wool also tends to retain moisture well and whilst this gives the carpet’s springy and shameful appearance, it also puts it at risk of developing harmful moulds if not cleaned and cared for regularly. Cleaning a wool carpet correctly is a professional job, such carpets are expensive and although they repel dirt, a clean needs to be undertaken at the right temperature with specialist cleaning agents that won’t harm the wool. To find out how we can help with your wool carpets contact us today for the commercial carpet cleaning Blackburn. Olefin is a synthetic material similar to nylon and polyester and is used to manufacture carpets because of its impressive stain resistance and colour retention ability. Olefin is less durable than polyester and nylon so is usually used in low traffic areas where there is a risk of spillages eg a dining room. Olefin carpet is economical but its fibres can break very easily so be mindful of moving furniture as these marks will crush the carpet fibres leaving a permanent mark. Unfortunately Olefin carpet lacks the “springability” and shape retention of other types of carpet so when choosing Olefin, it’s best to opt for lower pile so that any crushed fibres won’t be as visible. Luckily Wrennalls have helped hundreds of business get the best out of their carpets including Olefin. Due to its low melting point, extra care has to be taken when cleaning Olefin. We employ the latest state of the art cleaning technology to give your carpets the most thorough and safe clean. Wrennalls carpet, fabric and floor care specialists have been offering a nationwide service for over 30 years. Our commitment to pioneering the use of new cleaning technology and always striving for perfection has earned us a reputation as the best for commercial carpet cleaning Blackburn. If you are searching for a carpet cleaner Southport, give Wrennalls a call on 01254 367 351 or get a free quote from our website today!